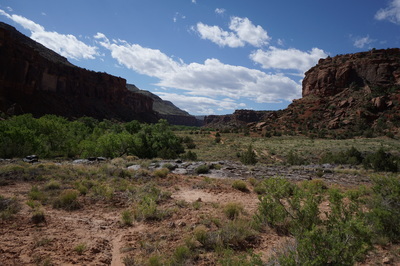 Directions: The trailhead for Big Dominguez Canyon is located about 20 miles south of Grand Junction off of Hwy 50 north of Delta. 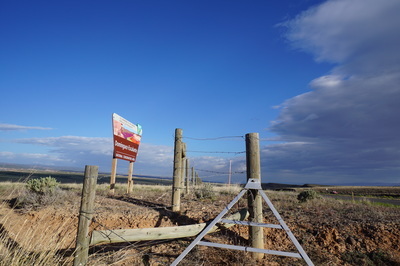 From Grand Junction follow Hwy south and turn right (west) onto Bridgeport Road. The turnoff may be hard to see, look for the BLM sign. 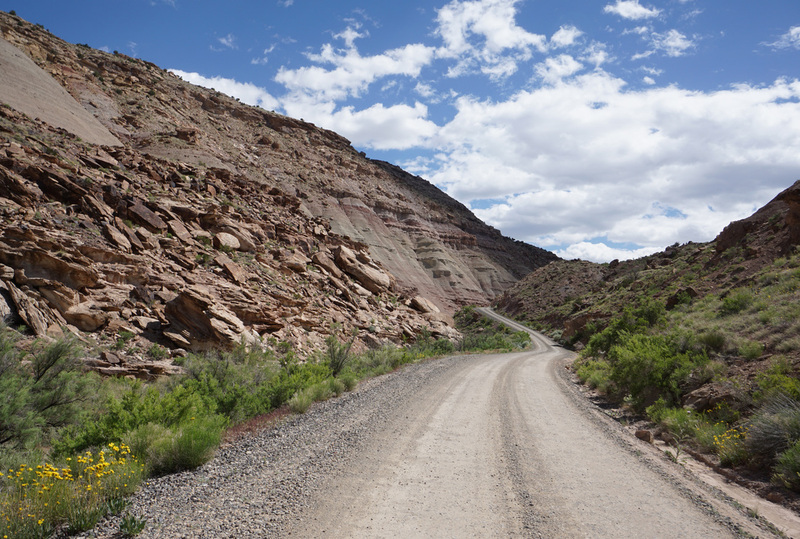 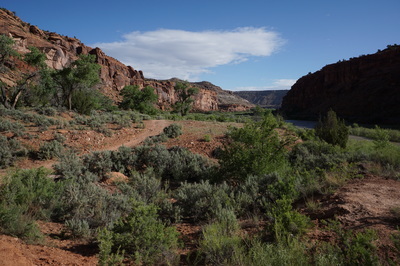 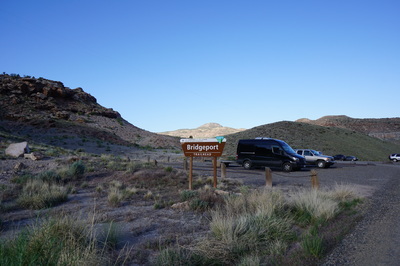 Follow Bridgeport Road, a good but narrow dirt road down about 3 miles to the Gunnison River and the trailhead. 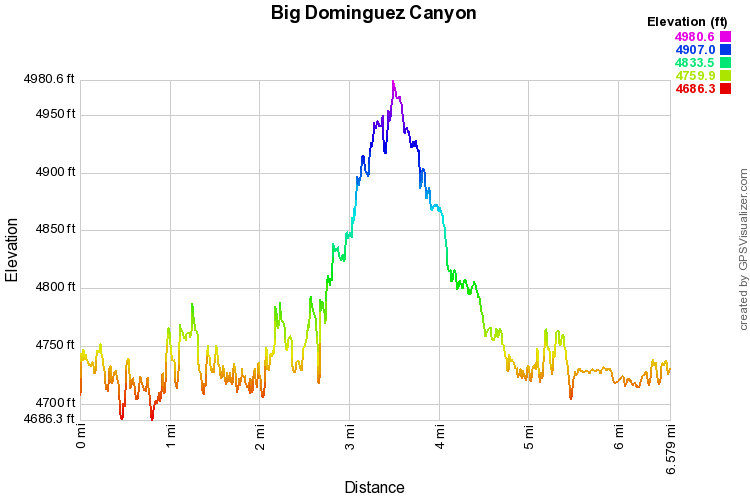 Big Dominguez Canyon is a beautiful hike. 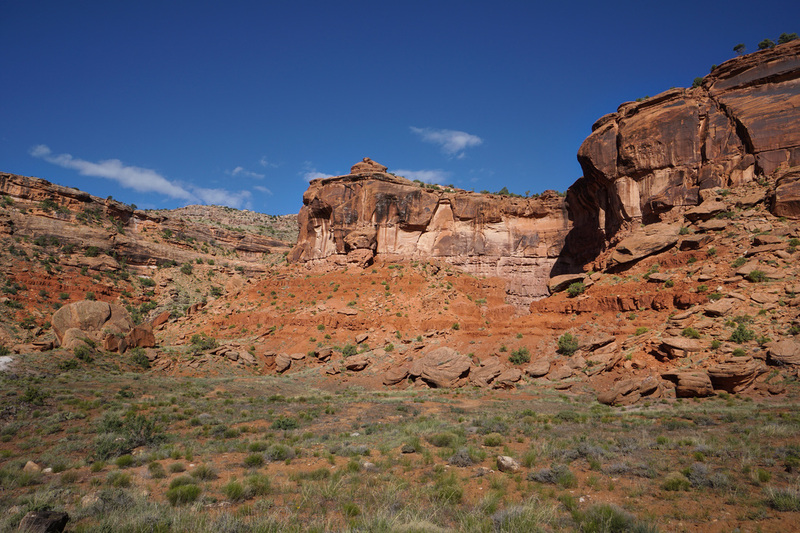 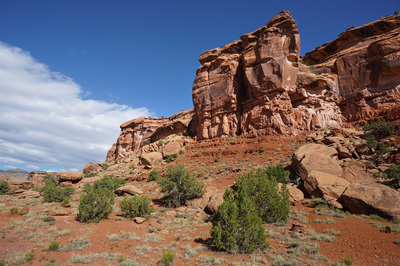 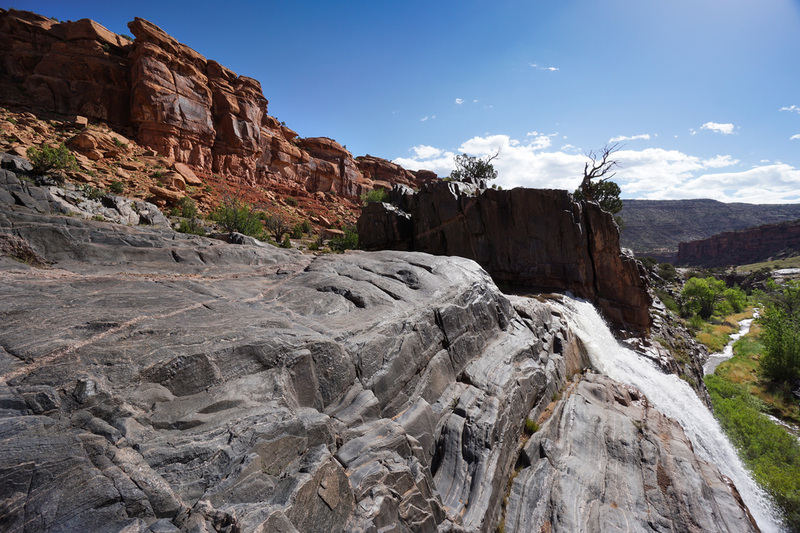 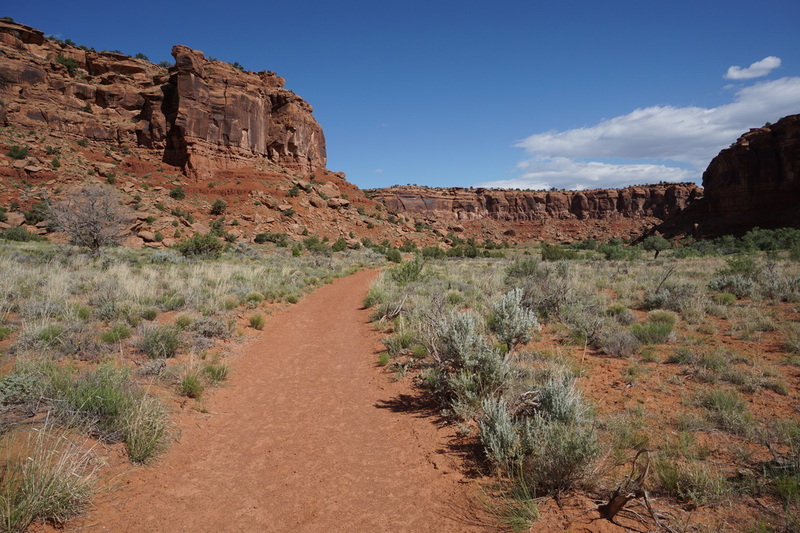 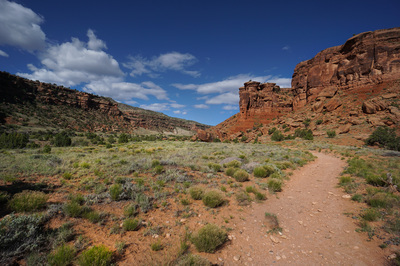 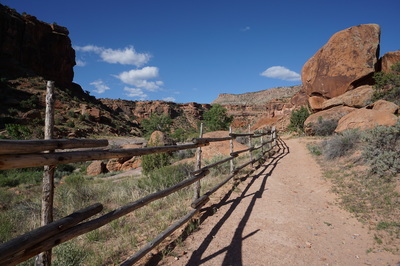 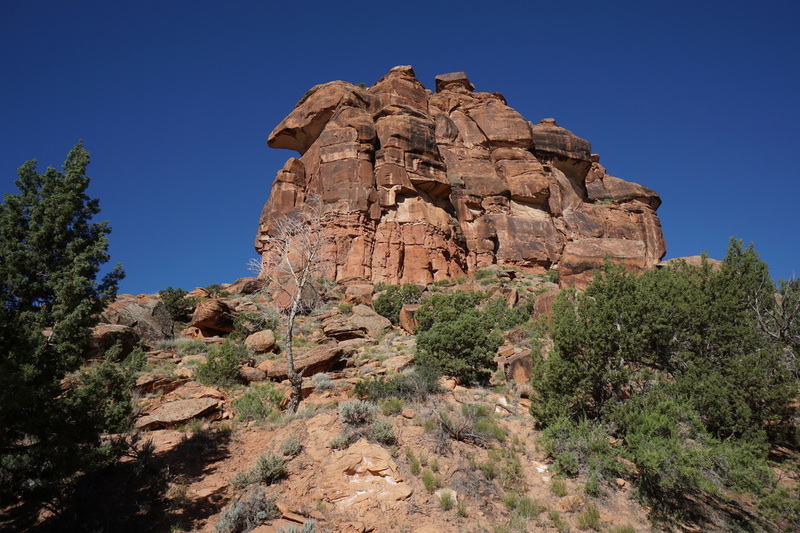 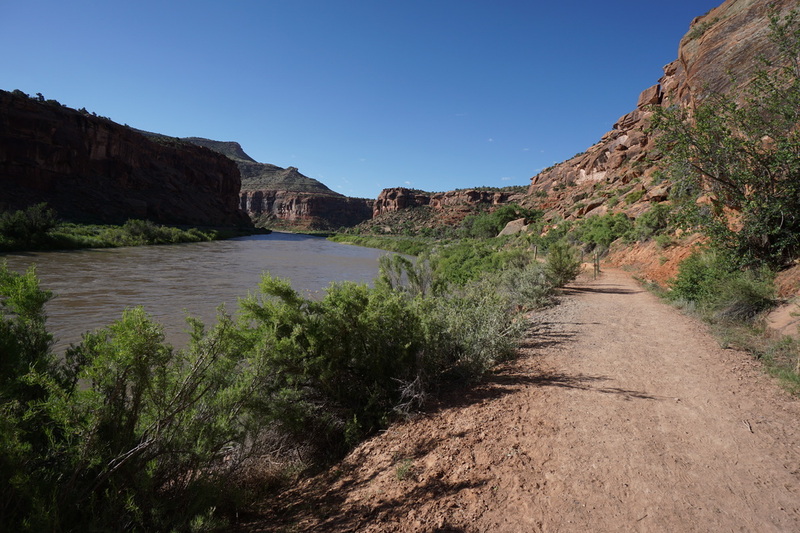 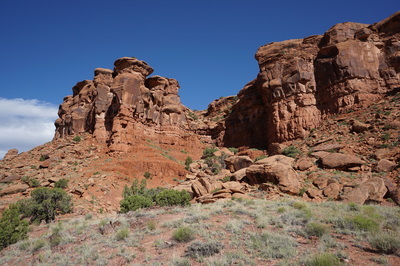 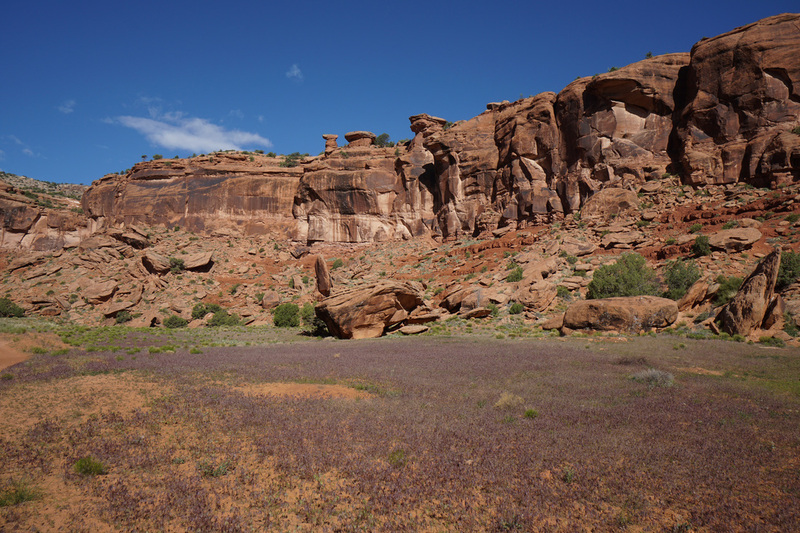 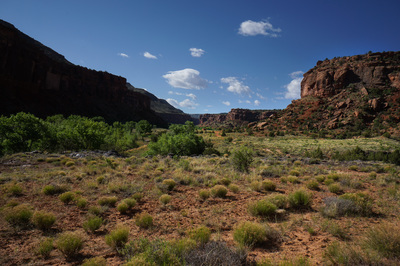 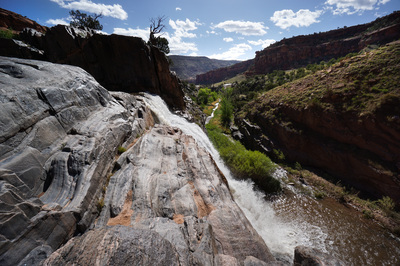 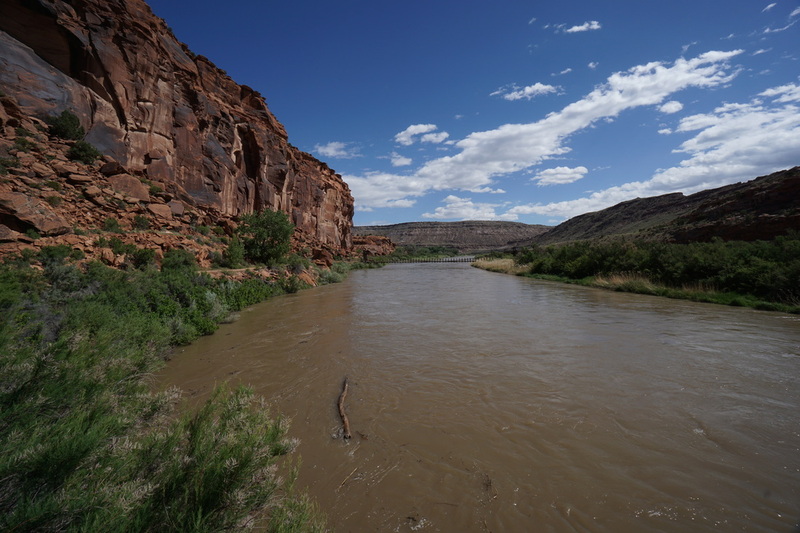 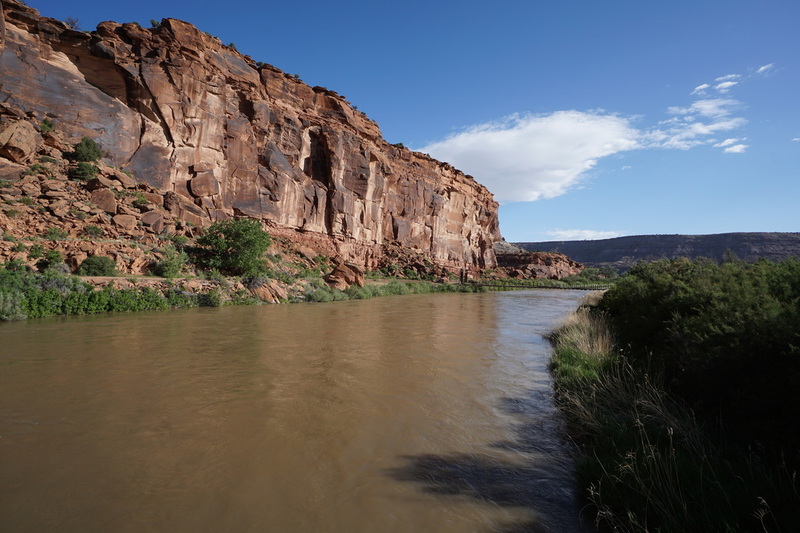 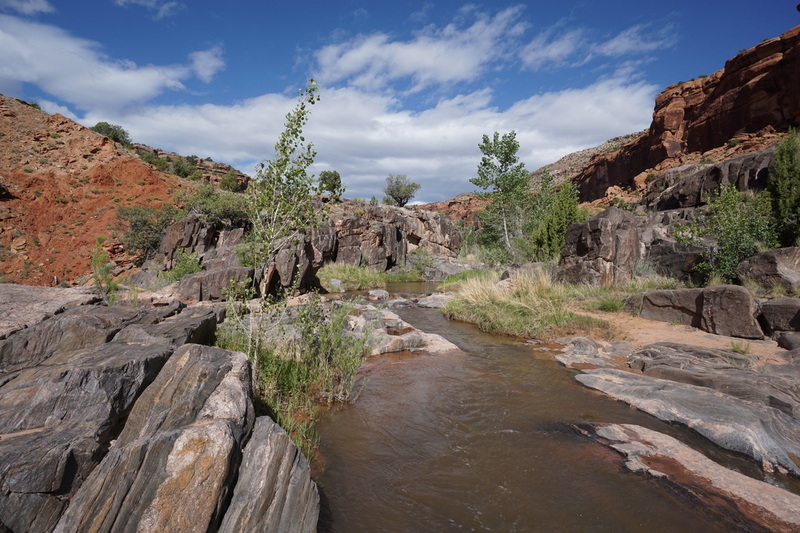 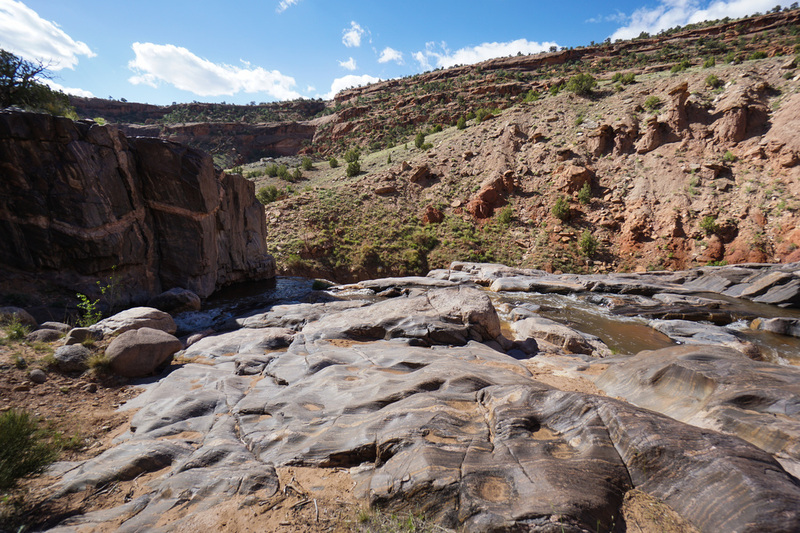 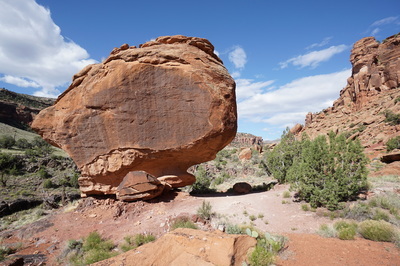 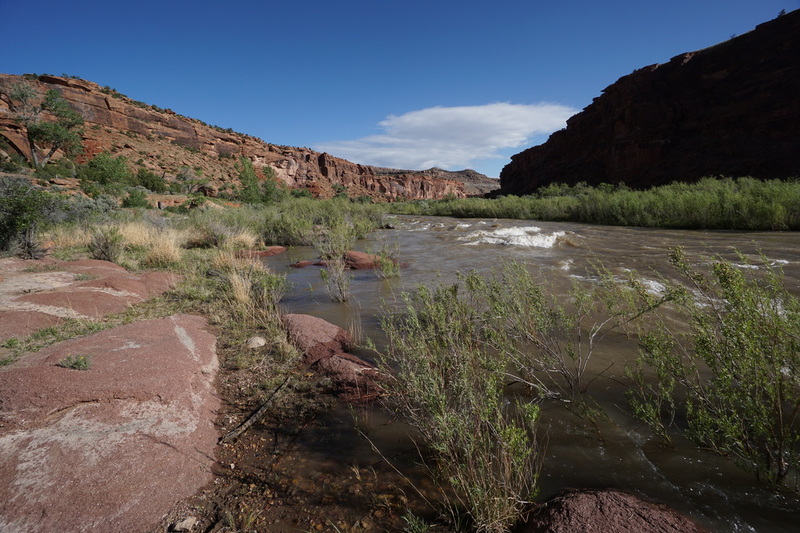 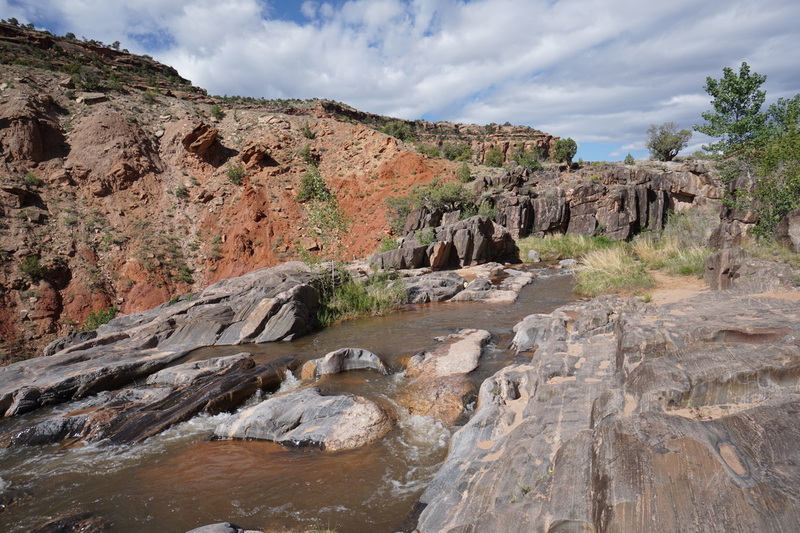 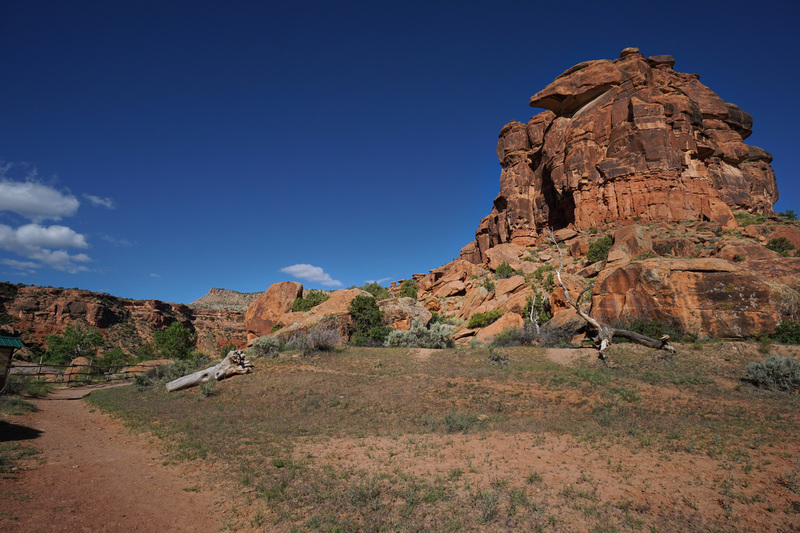 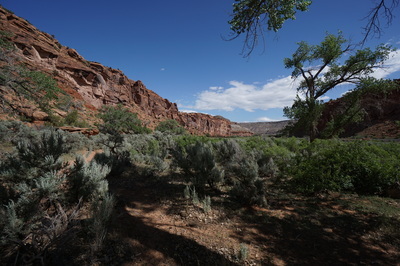 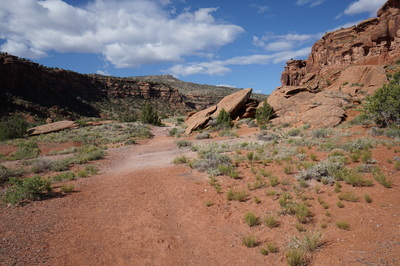 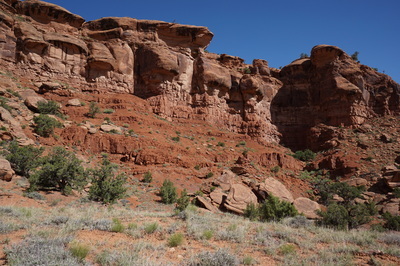 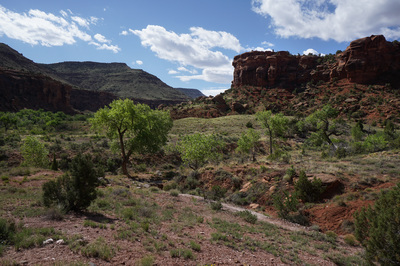 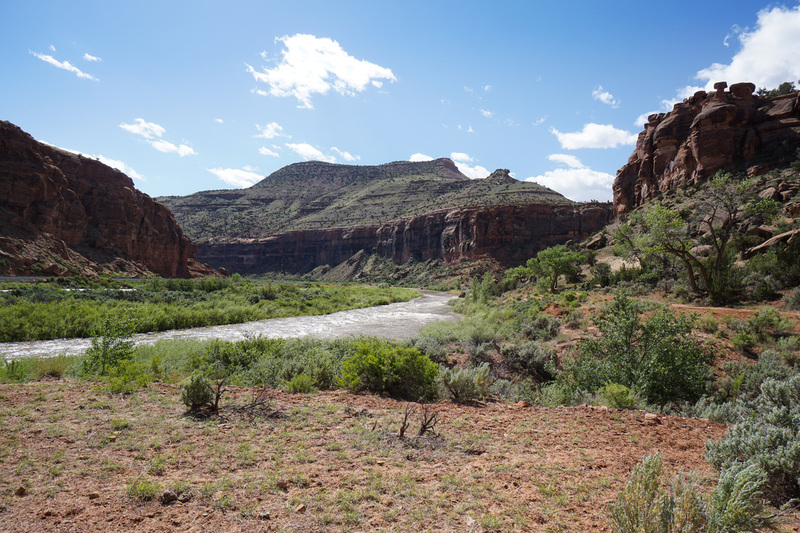 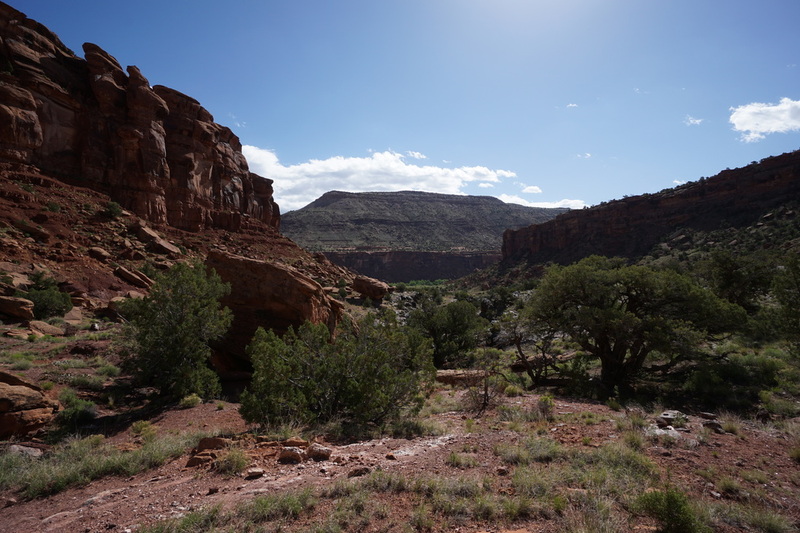 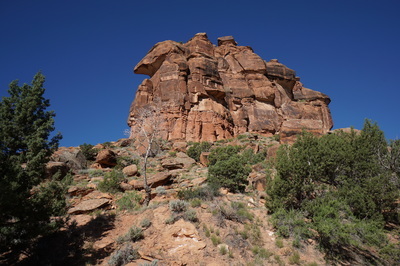 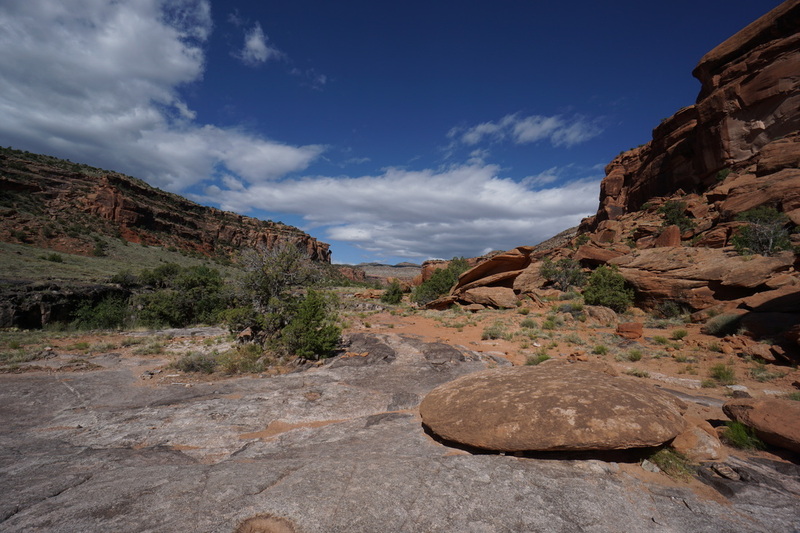 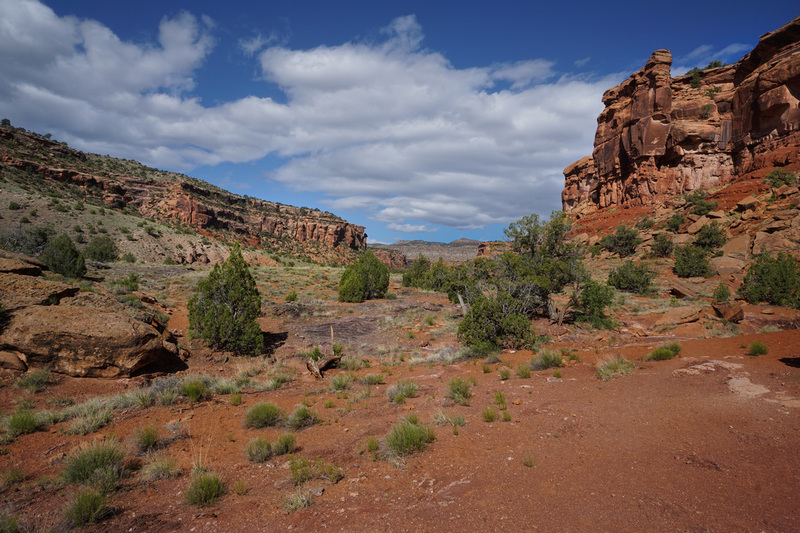 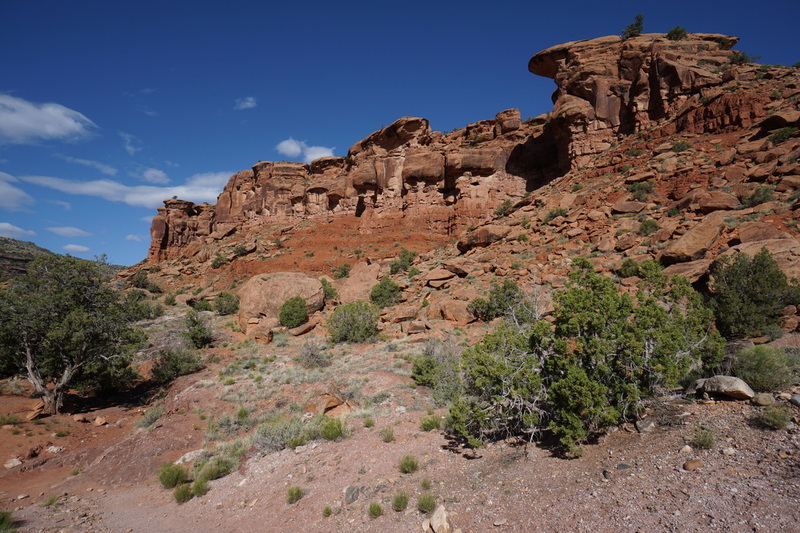 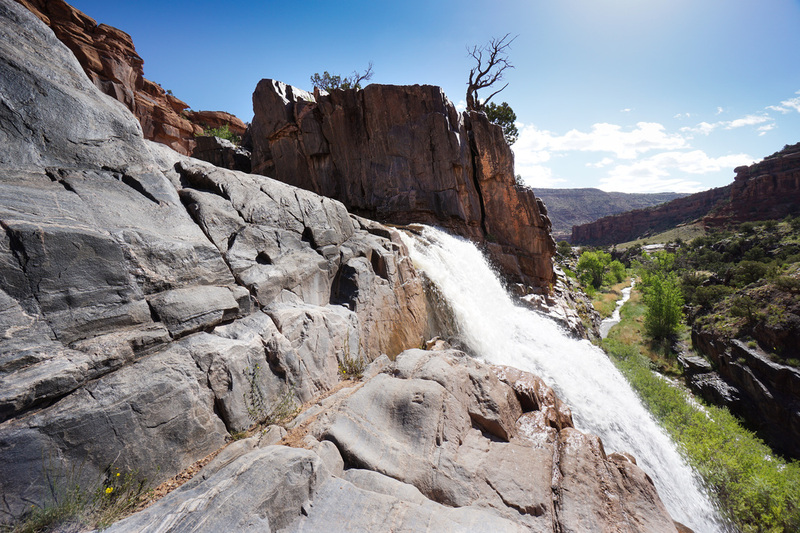 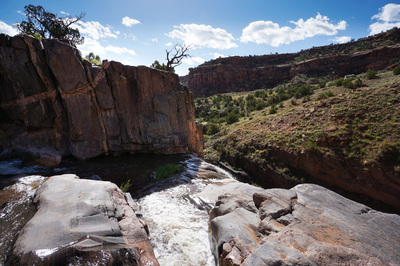 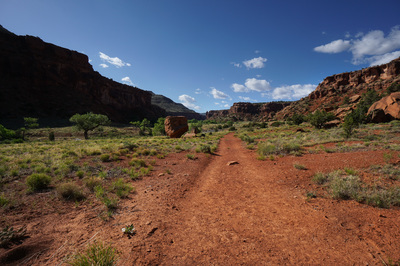 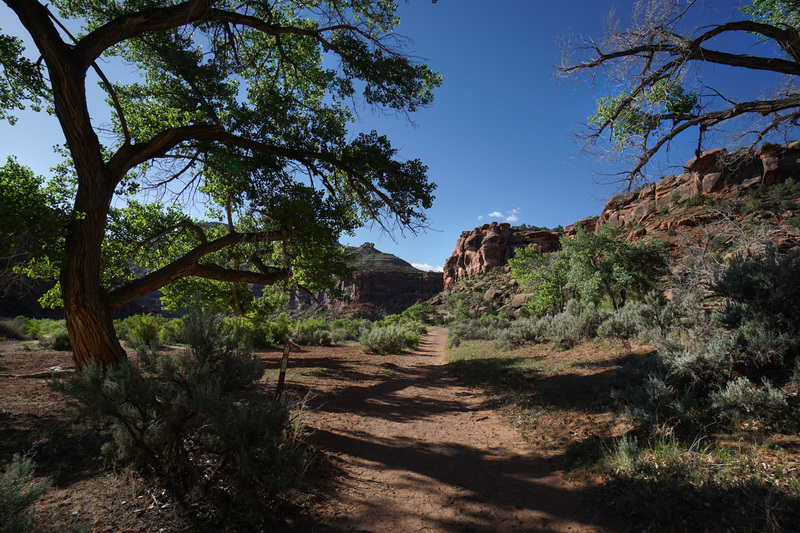 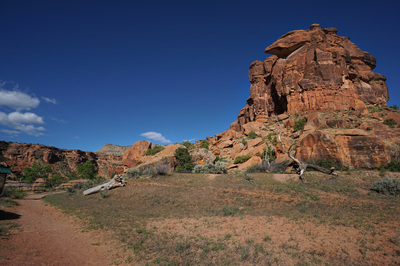 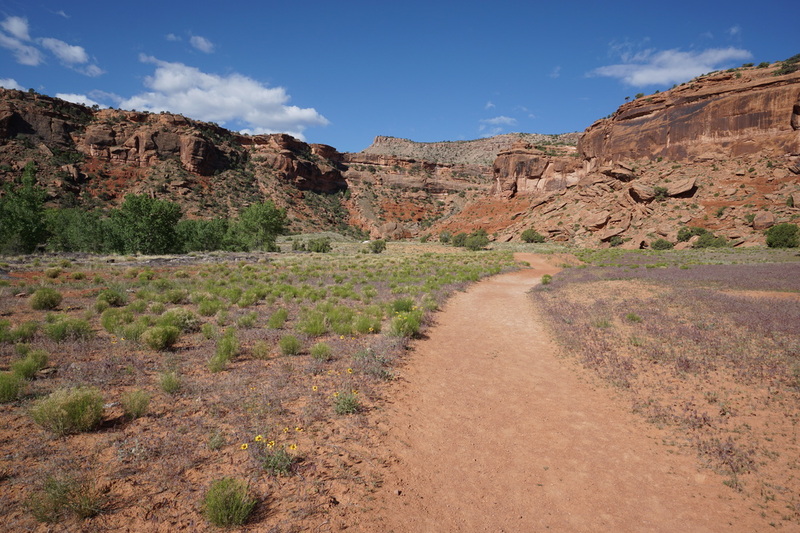 The hike is located in the Dominguez-Escalante National Conservation Area, a BLM administered area about 20 miles south of Grand Junction along the Gunnison River. 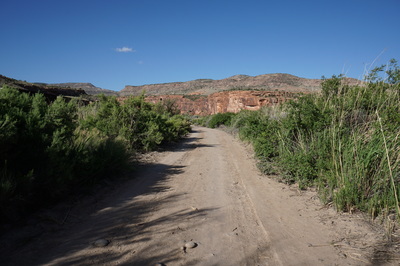 The Big Dominguez Canyon Trail is very long and can be explored for days on end. This description takes you to the top of a towering waterfall and back, perfect for a day hike. 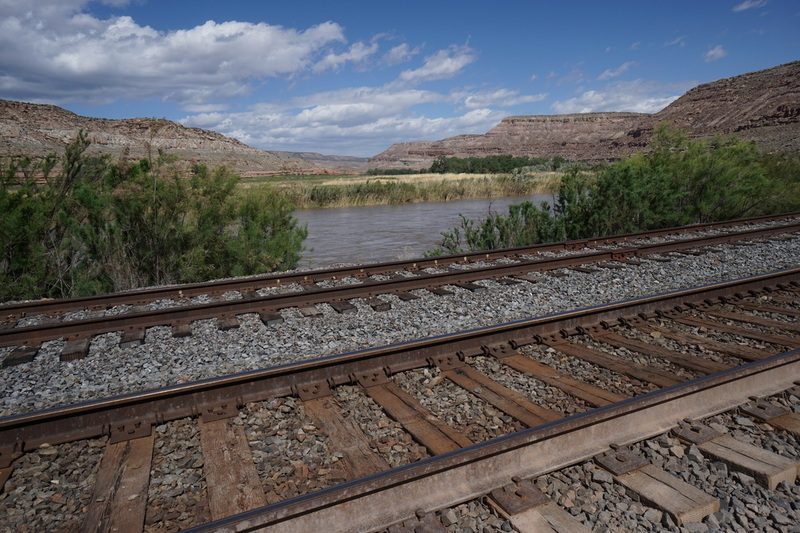 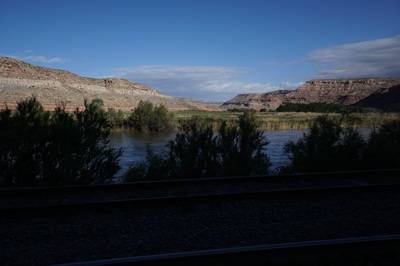 The trail starts at the river by following the gated dirt road that runs parallel to the railroad tracks for about a mile. 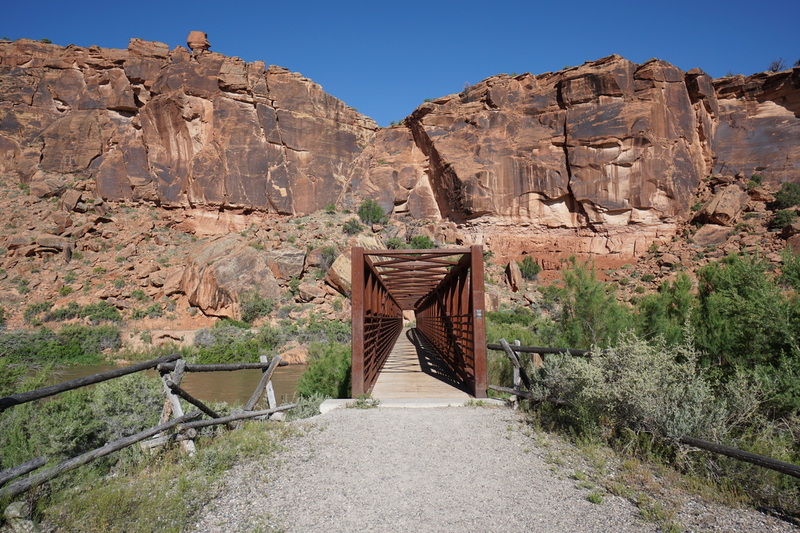 At the 1 mile mark you’ll come to a footbridge with a “Do Not Enter” sign…follow the sign’s advice and continue down the trail for a few more minutes to the Bridgeport Bridge with maps and signage…this is the bridge you need to cross. On the opposite side of the Gunnison now, turn left and follow the trail along the river through some shaded areas and a primitive campground to the mouth of Dominguez Canyon. 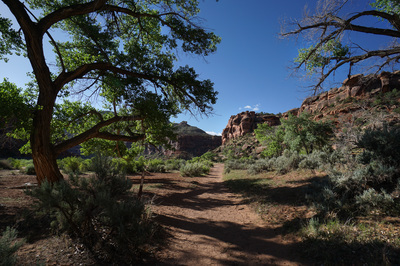 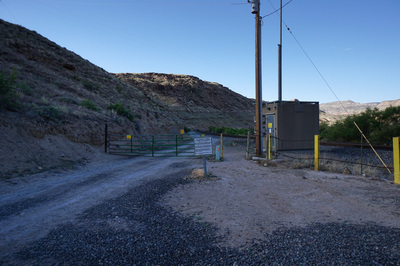 As you enter the canyon, you’ll pass through a gate into the Dominguez Canyons Wilderness Area. 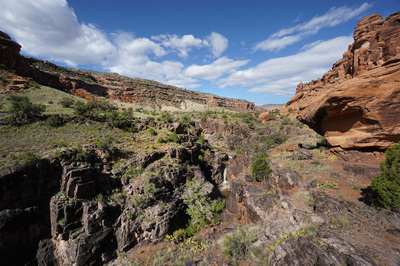 Dominguez Canyon is stunning with its towering red rock cliff walls and scattered vegetation. 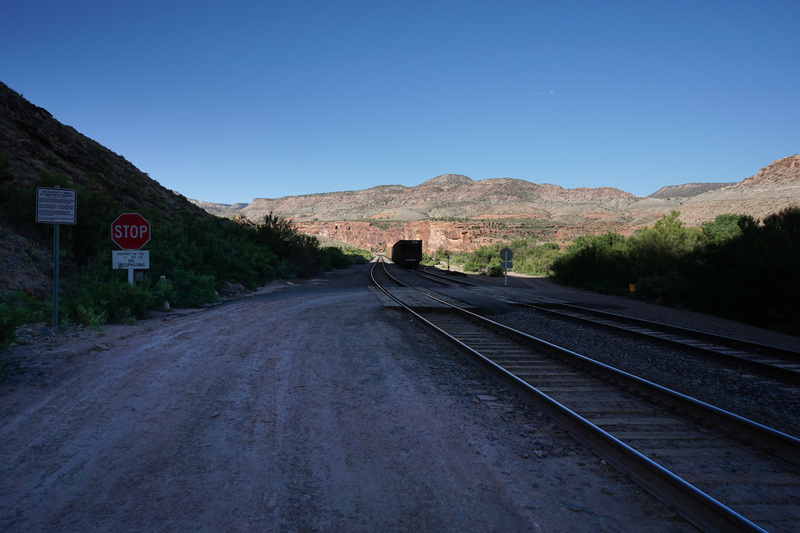 After a little more than 2 miles you’ll enter a clearing and see a faint trail junction, stay to the right here to enter Big Dominguez Canyon, going straight will take you into Little Dominguez Canyon. As you enter Big Dominguez Canyon the walls get a little narrower, the cliffs a little taller, and the hike gets a bit more intimate. You’ll soon notice that there is a grey granite gorge cut into the center of Big Dominguez Canyon and at the 2.7 mile mark you’ll get your first view of the Dominguez Creek waterfalls cutting through the rock. 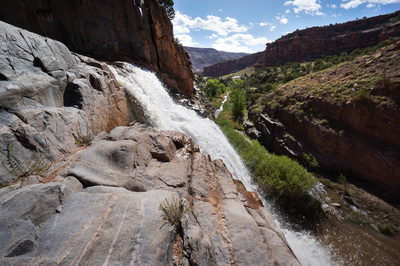 In the spring these waterfalls are in full stream. 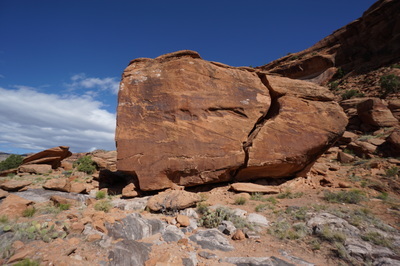 Continue past the viewpoint for about 3 tenths of a mile to a large boulder with a crack down the middle. Before you reach the boulder you should start to hear the sounds of a waterfall off to the left and you’ll notice a peaceful rocky green oasis. 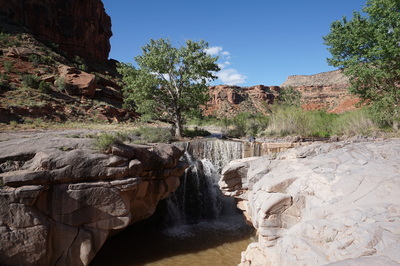 Take a faint side trail to the oasis and you’ll find the top of the waterfall. Be careful here in the spring when the water level is high but hop across the rocks and work your way down the slippery rock to find the views of the waterfall pouring down into the gorge below. 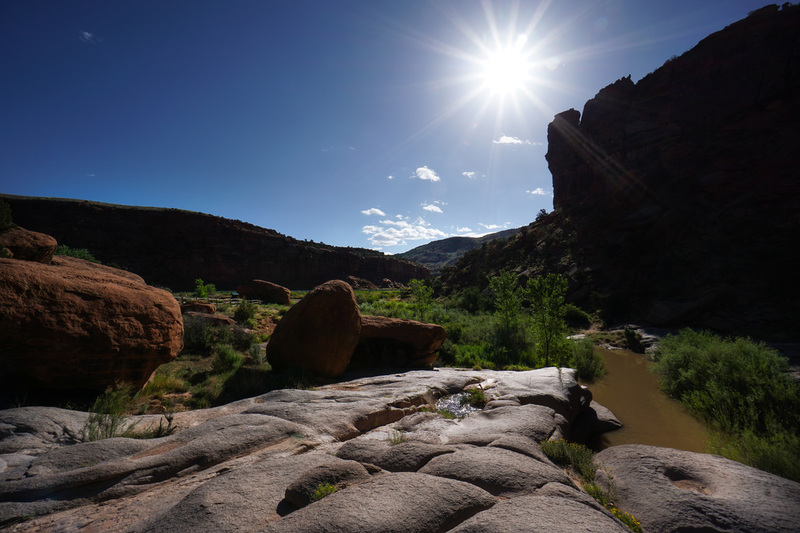 This spot is a true paradise and you’ll have a hard time leaving this wondrous view behind. This is the turnaround point for this hike description but the canyon is ripe for further exploration. 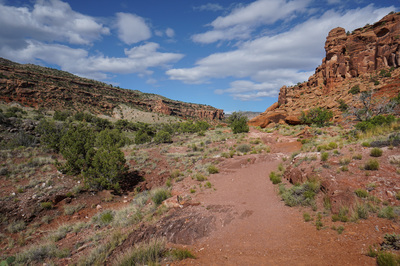 If you have the time and inclination, continue up canyon to find petroglyphs, primitive rock shelters, and more. 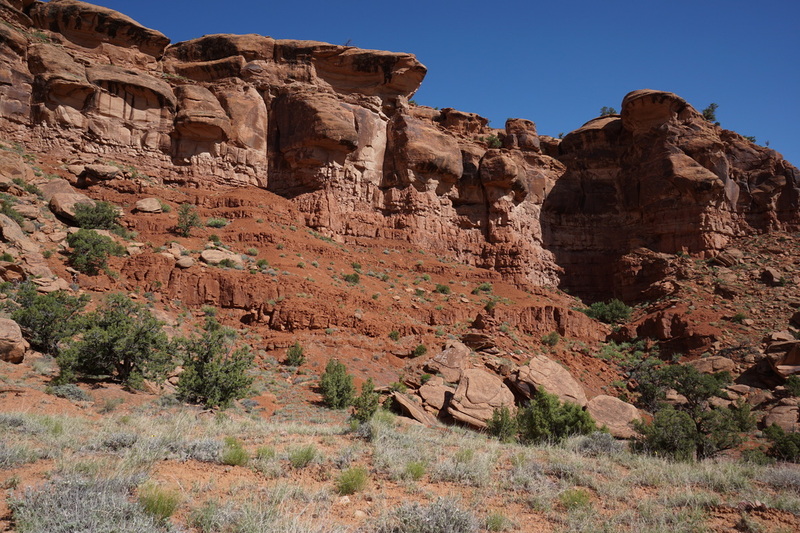 Big Dominguez Canyon is one of the prettiest canyons on the Colorado Plateau and considering the ease of access and the well-established trail, this hike is a must do.